Professors Kim Fox and John Pepper join Collaboration to further understanding of cardiac regeneration. 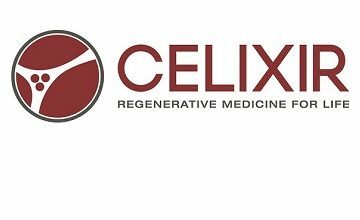 Celixir (formerly Cell Therapy Limited) today announced the formation of the Innovative Cardiovascular Medicines Collaboration. The Collaboration includes world-leading expertise in cardiac research and clinical development, with the purpose of better understanding the basis for cardiac regeneration. The Collaboration will be jointly led by Professor Kim Fox, Consultant Cardiologist and Professor of Cardiology at Imperial College and Professor Sir Martin Evans, Nobel Laureate and Chief Scientific Officer of Celixir. Support will be provided by Professor John Pepper, OBE, Interim Director of Research at the Royal Brompton and Harefield NHS Foundation Trust, together with Dr. Sabena Sultan, Global Head of Research at Celixir. “Collaborations with world-class research physicians are critical in accelerating the development of innovative medicines. 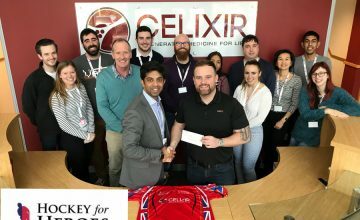 We’re delighted to be forming this partnership with Professors Fox and Pepper, to advance Celixir’s investigational myocardial regeneration medicine and provide future innovations that will hopefully transform patients’ lives”, said Ajan Reginald, CEO, Celixir. The first priority for the Collaboration will be investigating heart failure with an initial focus on developing insights into the regeneration of cardiac tissue. The Collaboration has been formed with the view of bringing new, life-saving medicines to heart failure patients. Heart failure affects 26 million people worldwide.1 Patients with severe heart failure have impaired quality of life with approximately 70% of this patient group dying within a year.2 It remains incurable and current treatment options, including bypass surgery, only go some way into alleviating the symptoms. However, recent advances in regenerative medicine may offer tissue repair and better survival rates as a realistic goal. Celixir (formerly known as Cell Therapy Ltd.) is a private British regenerative medicine company that discovers and develops life-saving and life-altering regenerative medicines for patients with the greatest medical need. Celixir, founded in 2009, is made up of a worldclass team of scientists and biopharmaceutical executives, led by Nobel Laureate Professor Sir Martin Evans and former Roche Global Head of Emerging Technologies, Ajan Reginald. 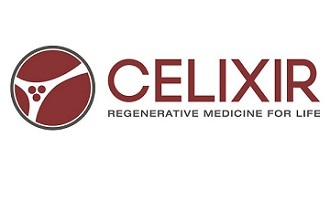 Celixir’s unique platform technology allows them to adopt an ‘off-the-shelf’ approach to deliver regenerative medicines to patients. 1 Heart failure: Preventing disease and death worldwide. European Society of Cardiology. European Society of Cardiology, 2014.
hospitalization in patients with heart failure and preserved left ventricular function. American Heart Journal, 151(2), 444-450.